Radley's Rotisserie Chicken & Burger is coming to Sydney under the same group with The Rotisserie restaurant in China Square Food Centre, Singapore. 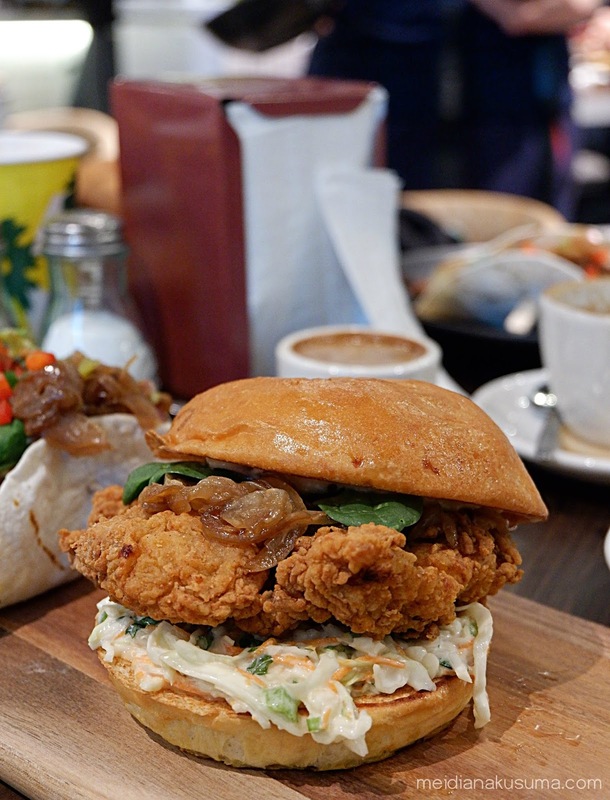 This restaurant famous with its rotisserie chicken and gourmet salads, with affordable price and yes you will be surprised with their price. 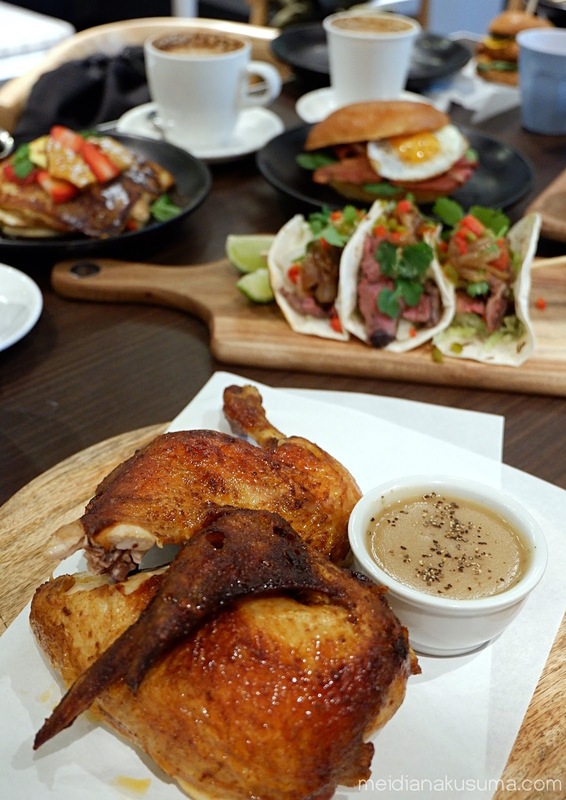 Radley's Rotisserie is located at ground level, Chatswood chase and has been open for about 5 months. 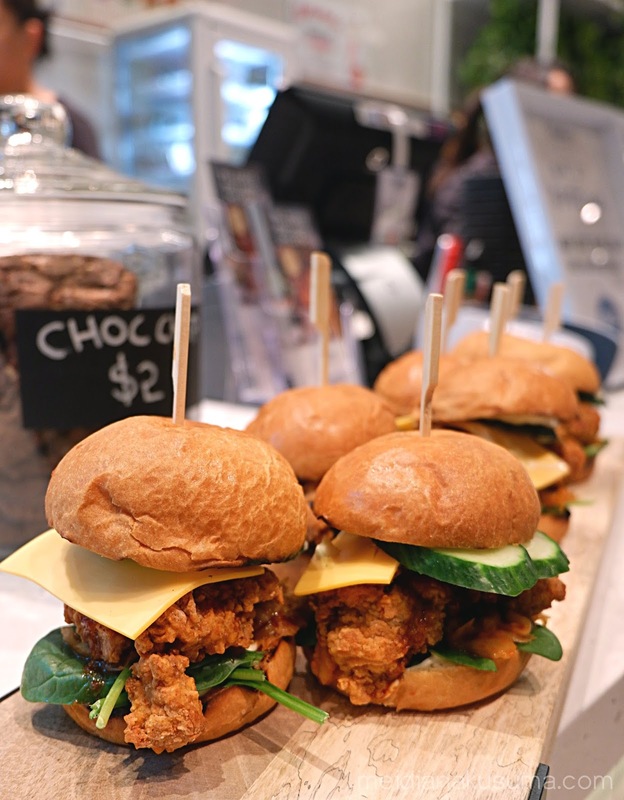 They serve food options from chicken, burger, steak, salads to cookies and pastries. The interior is simple and chic with open-kitchen concept and they have a unique ceiling fan. This 200gr Black Angus Steak really surprised me. 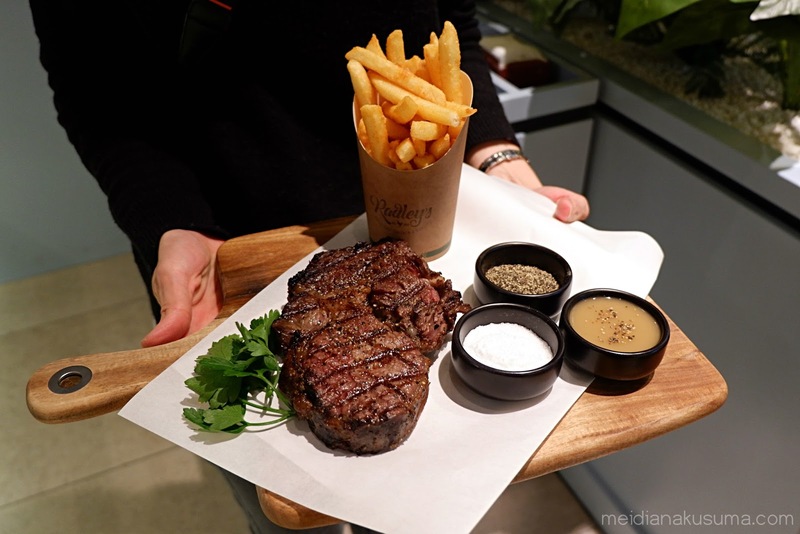 I can't believe this huge portion super yummy of medium rare steak only cost you A$15 and it already served with hot chips and gravy. My palate was seriously spoiled with the well cooked steak and yummy gravy. The steak was really yummy and melt in my mouth. Definitely a must order food in Radley's. Would you believe me if I said this price even cheaper than their Singapore's branch? Their chicken were really juicy, tender and well seasoned. You might want to dip it to their special gravy. 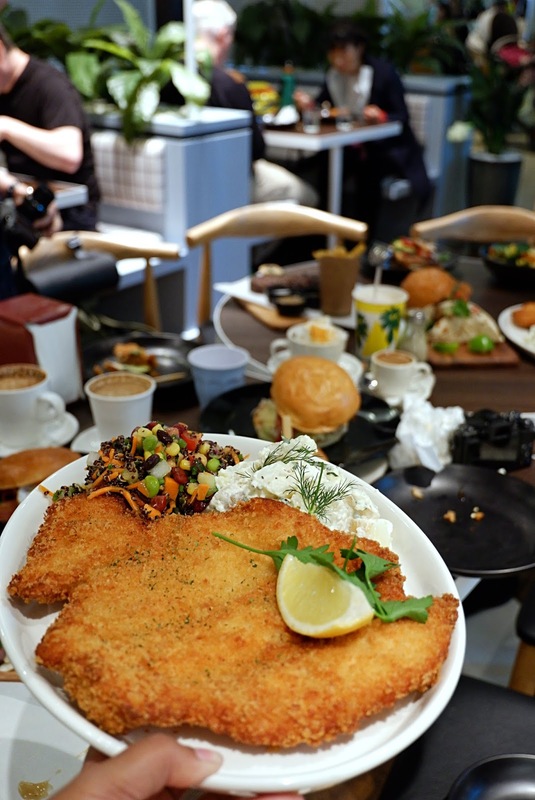 Let's us forget about Taiwanese XL chicken for a while and order this chicken schnitzel because first it is bigger than that and second for $10.5 you already get this crispy and yummy schnitzel plus hot chips, I'm pretty sure you really wanna give it a try. Here is my other favorite menu in Radley and this is actually their new menu. 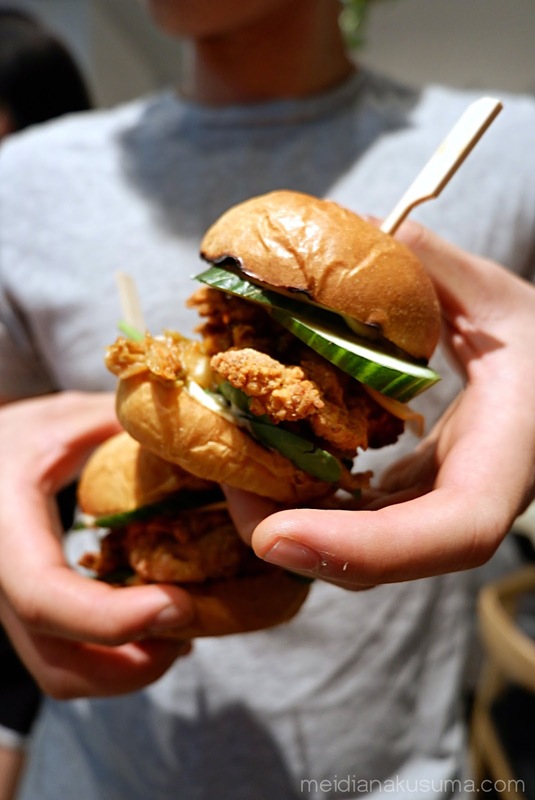 What makes this sliders special? of course the kimchi and not to mention the crispy chicken and the fresh spinach in between. 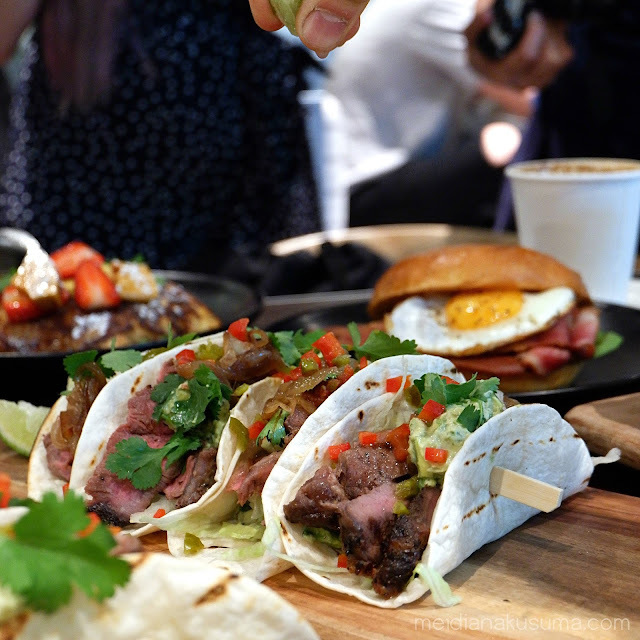 These beef tacos are also their new menu, you will get 2 portion per serve with generous sliced beef. This dish was really yummy with a great combination of sliced chargrilled beef, guacamole, salsa, cilantro and a spicy kick from jalapenos. Hot chips are already included in most of the ala carte menu, by adding $2 you can replace hot chips to veggies or salad. 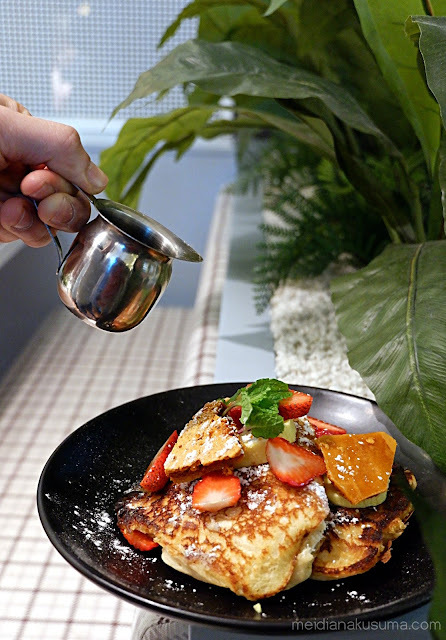 For dessert, they have this sweet and fluffy buttermilk hotcakes with strawberries, banana, honeycomb butter and maple syrup. Well, if you think the picture shown above is not really appealing but trust me, you need to try this by yourself. I'm quite unsure at the beginning, but it was really mind blowing and unexpectedly good. Overall, I really had a great time at Radleys and really can't wait to bring my friends to have lunch here again. 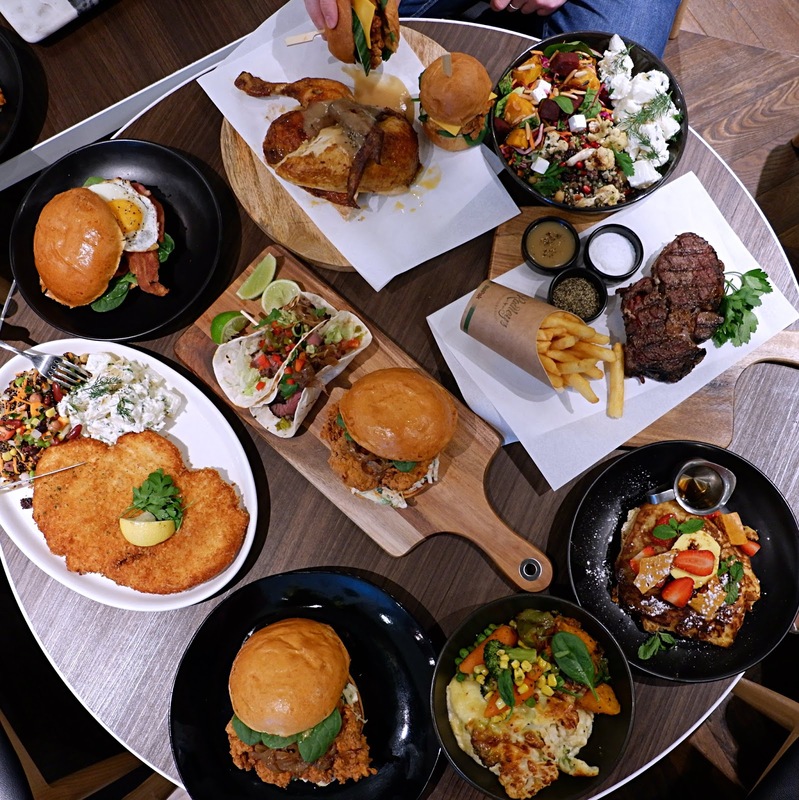 A great food, generous portion with affordable price, I think many people will start to choose this place as their new favorite restaurant in Chatswood.